Do you remember the days of recording TV programs on videos and then skipping the ads when you watched it back? Well the same concept is available on the online now through software known as ad blockers and it’s on the rise with 615 million devices using them, roughly 11% of Internet users. Both industries are not taking this threat lightly. Ad networks such as Google and Facebook have been affected with lower ad impressions and thus less revenue generated. They are taking steps to combat this. Firstly, by working with the ad blockers themselves to develop a “non intrusive” style of ads that ad blockers allow. Secondly, by working to make their ads tamper proof and unblockable which circumvents the ad blocking software. This is something Facebook has recently done successfully which has increased their revenue significantly at the expense, however, of annoying those customers. Content producers are also combating this rise in ad blockers and corresponding fall in ad revenue in a number of ways. One of the major ones is detecting if you’re using an ad blocker and then stopping you from viewing the content altogether until you disable it. However, this has led to around 74% of these blocked consumers leaving the site altogether so they’re also working to diversify their revenue by selling subscriptions, products and allowing more sponsored content on their site. Regardless of the steps these businesses are taking, as long as consumers actively dislike the ads they see they will find a way to stop seeing them. Even if it is abandoning a website altogether. So, what can marketers do to ensure they future proof what they’re doing and get through to this segment of the market that want to block ads? 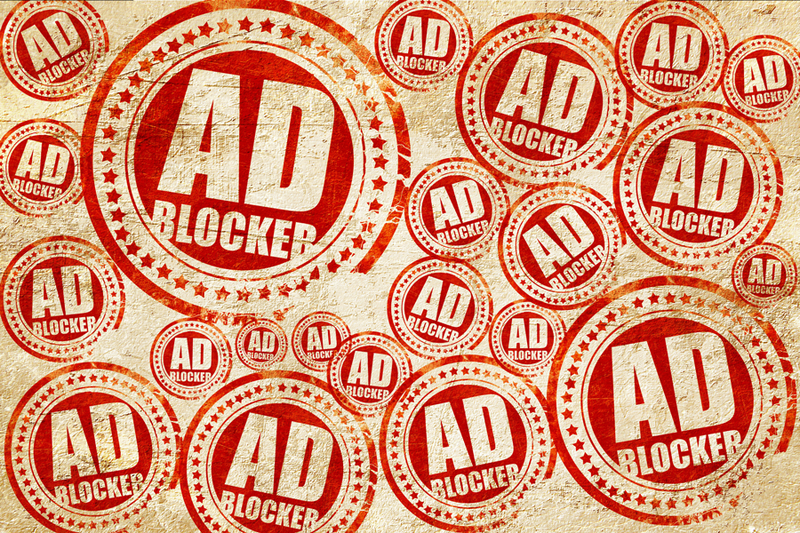 Along with making sure your ads are of value to the consumer and are unobtrusive, one of the key ways marketers can combat ad blocking is to diversify the type of ads you’re running and to ensure that this includes channels that can’t easily be blocked. Two good examples of this are influencer marketing and sponsored content which allow you to get your brand in front of your target market organically within content that they want to watch and read more of. Marketers should also look to build followers and databases. People that opt-in are actively choosing to receive content from your brand which decreases the chance your advertising will be blocked and which allows you to directly broadcast your message. Databases can be built on social networks with organic reach, on email and SMS platforms and even on push notification platforms. Another channel marketers should work on is SEO with organic search results not blocked. Paid search ads on the other hand are hidden, meaning that organic click through rates from those users should be high and traffic should grow in line with the use of ad blockers making it a high priority channel to focus on until the search networks take action and make paid ads unblockable. Ad blocking is rapidly changing and there’s startups on both sides fighting to get ads through or stop them altogether. There are also other big players such as Apple moving to protect their customers from advertising with their latest iOS release automatically blocking remarketing cookies after 1 day. Even the Google owned Chrome browser has taken steps to filter out some ad formats. What’s next? Regardless of the changes that are made in the ad blocking industry, diversifying the channels we use as marketers to minimise the risk of changes like this affecting your results is best practice digital marketing and is something we should all be working on. Duncan is the head of Fluid Online Marketing at the Digital Marketing Agency, Web Profits. He is a growth marketing specialist and works with clients to maximise the performance of every dollar they spend online.